Cloud computing reduces or eliminates the need for businesses to purchase equipment and build out and operate data centers. This means you don’t have to spend the money to keep on-hand equipment updated and upgraded. 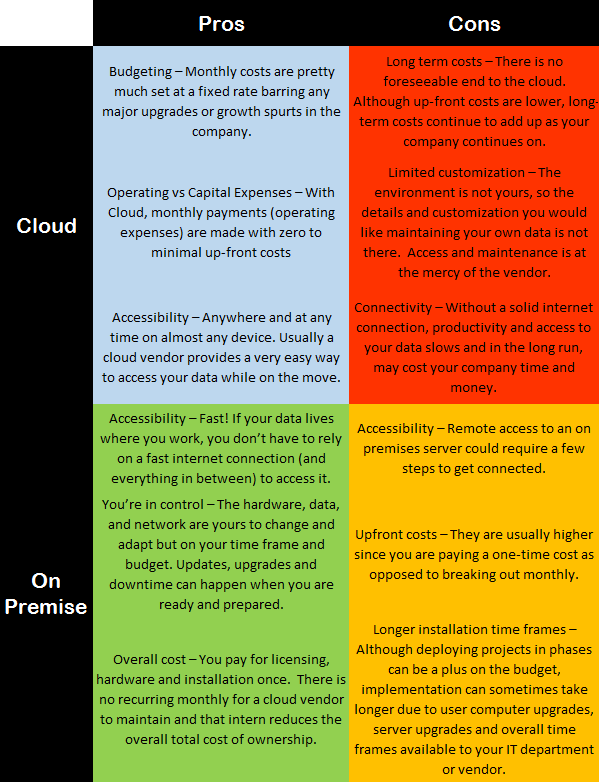 Most cloud computing programs and applications, which range from ERP and CRM to creativity and productivity suites, use a subscription-based model. Paying one lump sum isn’t your only option. Plenty of programs allow you to pay a month-to-month cost that either slightly differs from or costs the same as the full year’s cost. This gives you more control over the amount of subscriptions you lease, regardless of whether you need to increase or decrease that amount. Cloud-based workflow and file-sharing applications give dispersed teams of people the ability to work together more easily and efficiently. Working from a cloud platform will allow for employees to have shared resources and software. This ensures that even if two people are at different locations, they can still help one another and communicate effectively about the resources they use. One of the advantages of cloud computing for businesses is how easily team members can work remotely from anywhere. Crucially, working remotely has recently been found to actually increase work productivity. You can learn more about this in The Ping: Definition of a Modern Office. Luckily, allowing your employees to work from home or the local coffee shop has never been easier! Cloud computing allows employees to connect to your company’s infrastructure securely without the use of a VPN. Hosting systems and storing documents on the cloud provides a smart safeguard in case of an emergency. The Ping: Disaster Recovery And Business Continuity Planning 101 discusses how important it is to maintain a disaster recovery plan for your business needs. Cloud computing can be a very important step in maintaining this plan and knowing your data is secure. Cloud computing solutions hold many advantages for businesses. However, their ease of use and affordability come with an important caveat: it’s vital that proper security and backup measures are in place to protect your data. The Ping: Will The Cloud Still Be Your Friend On A Rainy Day? and The Ping: Will The Cloud Still Be Your Friend On A Rainy Day? 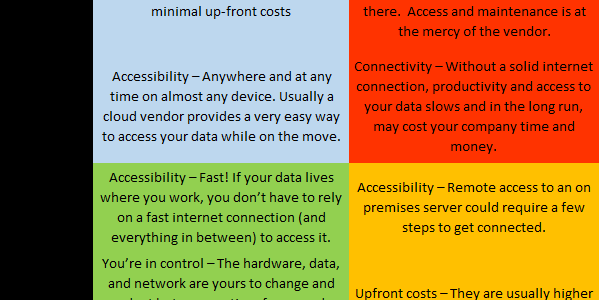 Continued touch on some of the reasons cloud computing might not be your best option. We will let you be the judge. And as always, let us know how we can help you make the right decision for your company’s needs! Available at a fixed rate, Office 365 subscription plans make it easy for you to track and budget for your business’s software expenses. Tune in next week for a review of the Office 365 offers from Microsoft.